Before the work week ends I’d like to give you, my readers, a little treat. 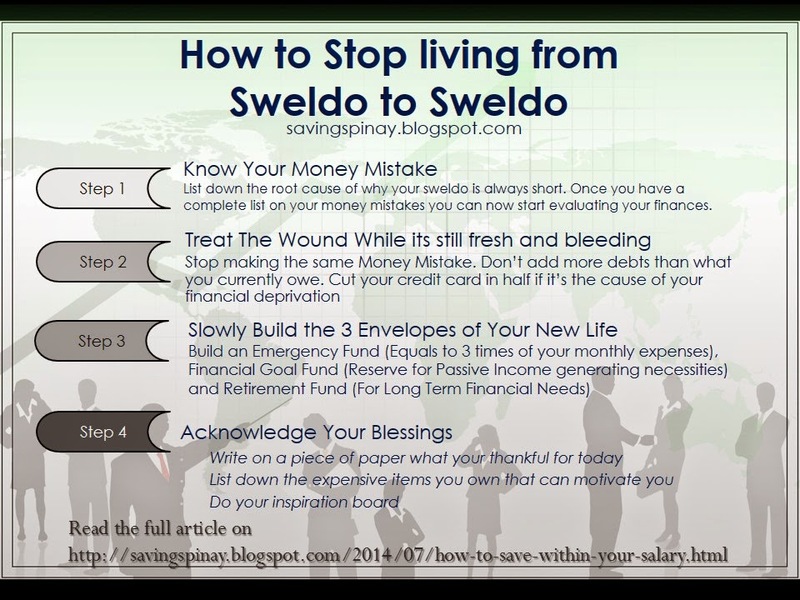 Here’s the Infographic version of one of my highest viewed blog post entitled How To Stop Living from Sweldo to Sweldo. You may read the full story here: How To Stop Living from Sweldo to Sweldo which also includes further personal experience on living from sweldo to swledo before and essential terms and examples that you might need to understand. Get this infographic as part of your wall paper or maybe you can print this so that you’ll be as always reminded for these financial tips. Kindly Like and Share this through social media specially on Facebook, Twitter and Pinterest. Easily share this via social media buttons below!! !